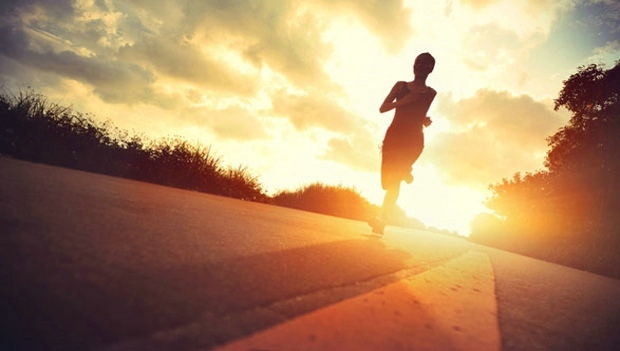 Is It Better to Run in the Morning or the Evening? When it comes to deciding what time of day is best to workout, most people fall firmly on one side or the other. Many prefer working out in the mornings because there are just too many commitments after work while others make the evenings work because they simply can't pry themselves out of bed an hour or two earlier every day. I'm definitely in the first camp--a morning run invigorates me and gets me ready to tackle the day. I understand myself well enough to know that I won't get a workout done in the evening since I just want to eat dinner and lounge on the couch. I'm not alone. The 2017 National Runner Survey from Running USA reports that 25 percent of people log their miles in the morning. Thirty-nine percent prefer the early evening hours. The remainder of folks choose to run midday or late at night. But it begs the question: Is one camp of runners doing it all wrong? As it turns out, experts agree it's mostly a matter of preference and neither one is necessarily "better" than the other. "From a health standpoint, there is no massive difference or evidence to show one is better than the other," says Mike T. Nelson, Ph.D, MSME, CSCS, an exercise physiologist and professor at the Carrick Institute of Clinical Neuroscience and Rehabilitation in Cape Canaveral, Florida. "I do find it varies a ton from one person to the next. For me personally, after many decades of trial and error, I find that 2 to 3 p.m. is the ideal time to work out." That's not to say morning exercise isn't without its drawbacks, either. While it can be ideal to have your workout out of the way, you want to ensure you're not disrupting the rest of your day or your sleep quality either. For morning workouts that include weight training, Nelson advises being up for about one hour or more before any heavy lifting, as your strength will be down at least 10 percent since you won't be fully hydrated. Runners should also try to hydrate before stepping out of the door and during the run. "Meanwhile, working out in the evening can make it harder to wind down and fall asleep at night, and may be harder to fit in if something changes at work and you have to work later," Nelson says. "I find many can't sleep for hours post-training, and they tend to stay up later, which messes up their circadian rhythm and results in the person getting less sleep," he says. To remedy any sleep issues, Nelson suggests getting 20 minutes of sunlight in the morning, without sunglasses or windows, or sitting in a hot sauna while doing breathing drills after an evening workout to help quiet your body down. "This will help you see a temperature change once you get out, which helps to promote sleep," he says. So while it doesn't really matter when you choose to squeeze your workout in during the day, it is important to run when it makes you feel good and listen to your body. Regardless of time, you are making important strides in your fitness and health.